Event description Lithuanian Cup - one of the biggest events in autumn season in Lithuania, usually marking the end of Lithuanian orienteering calendar’s year. 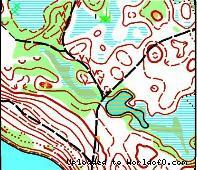 Terrain description Trakas forest (long distance) : some part of the map with the slop e up to 25 meters and other part of the terrain mostly with variuos types of medium height and detailed relief forms. Road and path network density is medium. Runnability varies from bad to good but in most of the terrain is moderate. Only few man made cut ted down forest areas. There are few areas with variuos size and shape swamps. There some areas with nettles. Map made in 2013 by Vytautas Tamulionis. 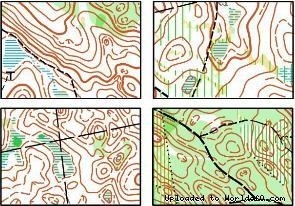 S kuistas forest (middle distance) : as well as the first day relief forms are similar. Slope and parts with medium height and detailed forms. There are areas with different shape and size swamps together with small relief details. Runnability in swamps is various. Road and path network – medium. Runnability in forest is from g ood to moderate. Map made in 2014 by Vytautas Tamulionis.